We have been contemplating this over the past year, mainly since our 15 year old grew taller than his Mama, haha, and we have expanded our Educational Programs and games for events and need a whole lot more storage space for materials. We even thought this may happen last winter, but then with the engine rebuild in January 2015, we delayed things so we could have her running in tip top shape. Plus, after investing $10,000 into building out a brand new engine, we weren’t sure we wanted to let go of her newfound rocket booster power, lol. But, alas, the time has come, our family and non-profit needs are growing, and we are looking to sell the Eco Womb Tour Bus. Note: We are NOT stopping the Eco Womb Tour, just expanding the Eco Womb Tour Bus a wee bit by getting a slightly larger bus. Note also: Our plan is to make this transition happen by our 2016 Tour launch date in April of this year, or we will not be transitioning until after this year’s Tour. We are manifesting hard, though, because after 5 years of service and dedication to “Connecting Families, Creating Change” we know it's time. Many have wondered how we have made it this far with six people in 256 sq. ft. And, honestly, I think we have surprised ourselves. But, we really don’t even think about it and when 256 sq. ft. has been our reality for the past five years, well, it just is and we couldn’t think of another home to call home. When we had our newest family addition, our sweet sweet baby boy, we were asked if we needed more space, but not really because he doesn’t take up that much more room and we cosleep and never really got any baby gear to contend with. So, it isn’t really that we have a new little one now, but more so that we have a big one, two boys really getting bigger by the day. And, the older kids’ bunk space could use some more elbow room. Plus, we need extra storage space for all of our new Educational Program materials and Sponsor samples. We certainly have been happy and content and grateful for our tiny home that has taken us all over the country, educating and exploring over the past 5 years, we are just looking to move into a wee bit bigger bus. Selling the Eco Womb Tour Bus got me thinking of all the memories and adventures she has taken us on, how sad I would be to let her go, and how she is us and we are her completely. But, note again that we are NOT stopping the Eco Womb Tour, we are actually going to expand it by having more room. 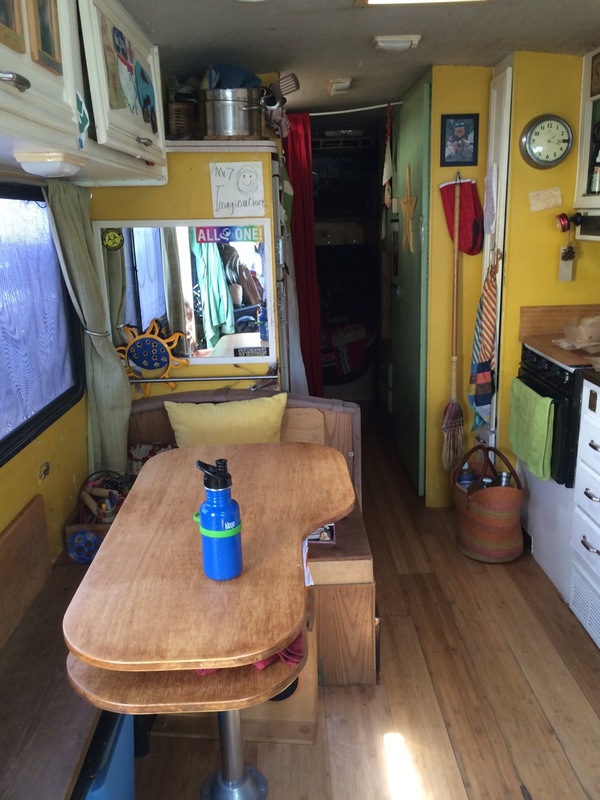 We have envisioned getting a new (to us) rig, still older, just a few more feet of living space. I mean really adding maybe another 100 sq. ft. to our home is not really a whole lot to most people, but oh my word, would be huge to our family. Yes, that’s right, we are looking to upgrade to maybe 350 square feet (I know, gasp! ), and still live simply and sustainably, just growing with the needs of our family. And, while looking to sell and transition into a different rig, we thought long and hard about the Eco Womb going to another family on the road giving back or sharing the love, doing some type of activist or education work, creating socially conscious change, and/or simply sharing the love and peace on the road by living fully and fully living. Before any sale, the Eco Womb would be stripped of her current wrap and rewrapped for future use, mainly to hold sacred our Eco Womb journey, to pass along the wrap to a new rig, and to rebrand her for whatever someone can dream up! And, just as the universe always leads us to where we are supposed to be when we are supposed to be there, we actually found a new (older, but new to us) rig without even really looking. And, coincidentally, at about the same time as finding this rig, a family found us that wanted to buy the Eco Womb and travel and teach about sustainable living, as well. Actually a couple of potential families and friends have surfaced in the past six months of us pondering this big transition. 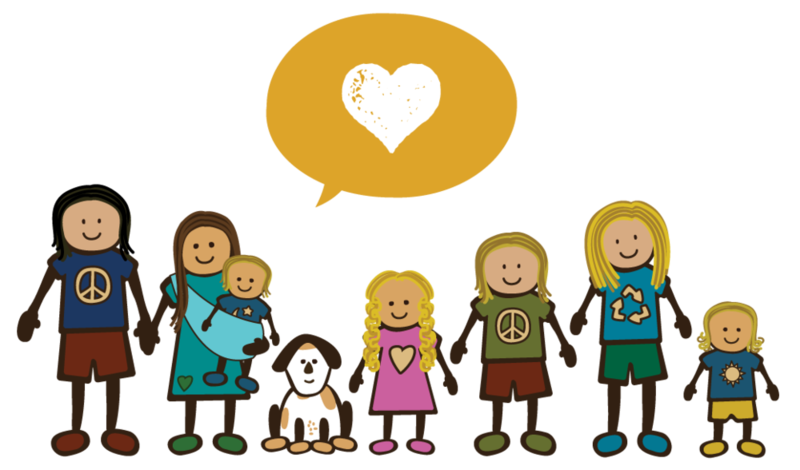 We have always dreamed up a fleet of sustainable homes on wheels, and a Conscious Caravan of families expanding the community to teach together and share the love. So, the serendipitous nature of everything lining up at about the same time moved us to begin taking the steps to make it all happen. We have been busy busy busy behind the scenes, and had hoped to have a giant surprise to announce in the New Year. But, as the universe also twists and turns, and we are constantly reminded to lean into trust as the path is unfolding, none of the potential buyers worked out right now. Soooooooo… we are now opening up the sale of the Eco Womb Tour Bus to the public!!! We will still be the Eco Womb Tour. We will be wrapping a new bus, and continuing to Tour the country with new space to host our events. We plan on stripping down the Eco Womb wrap as it is now and when she transitions over to a new family or person or group, they will provide her with a new wrap, or no wrap at all. But, we actually want to offer design services, as well, for someone else to envision their own wrap. With a resident designer as our Eco Womb Papa Bear, and the specs on layout already done, we could help you come up with a wrap that serves your new journey! 32' long, 8’ wide, 256 sq. ft.
Loads of Love, Peace, and Veggie Grease and general good vibes and love from our family over the past five years!!!!! For more photos, see past Blog posts below, and to see the Eco Womb set up at events and in action, see our Gallery. If you are interested, please leave a comment, and/or contact us at love@ecowomb.com. We are currently in South Florida for the winter, traveling a bit throughout Florida in February 2016, and would love to meet up so you can see the Eco Womb Tour Bus in person.